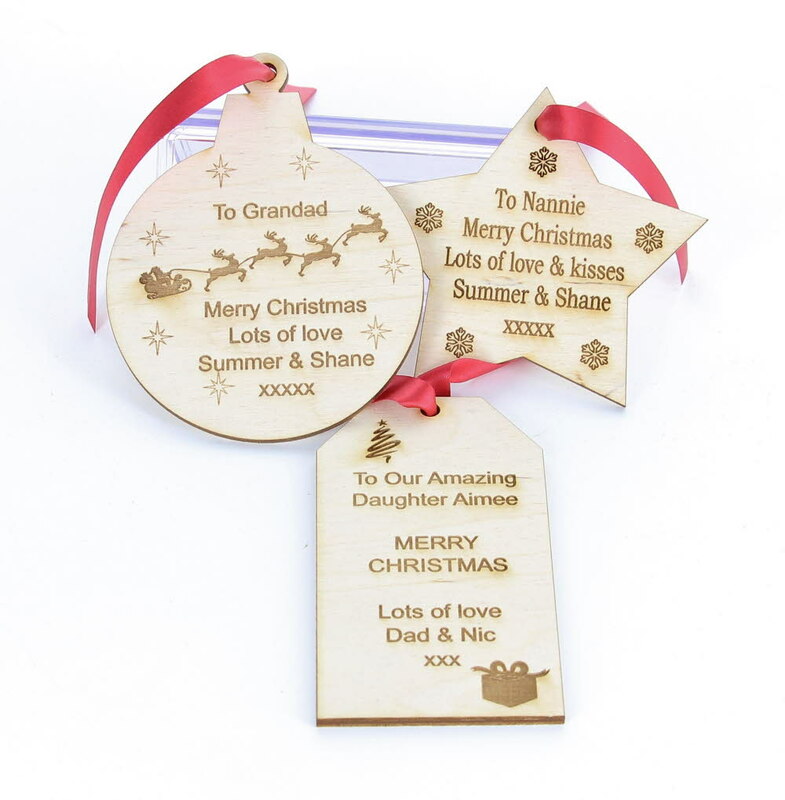 Amazing personalised laser engraved wooden gift tags. Available in 3 designs, Star 85mm, Bauble 105mm x 80mm, Rectangle 100mm x 55mm. They are made from 3mm thick ply wood. Each gift tag comes with red ribbon through the hole at the top of the tag. You will receive the engraved designs as shown on each item, all you need to do is let us know the text you would like engraving. Please note each tag is made from natural wood and may feature small imperfections and differences in grain, knots and colour. We have 3 great designs for you to choose from, all you need to do is to select your design and tell us the text to be engraved. We will then work our magic to make your unique gift tag!